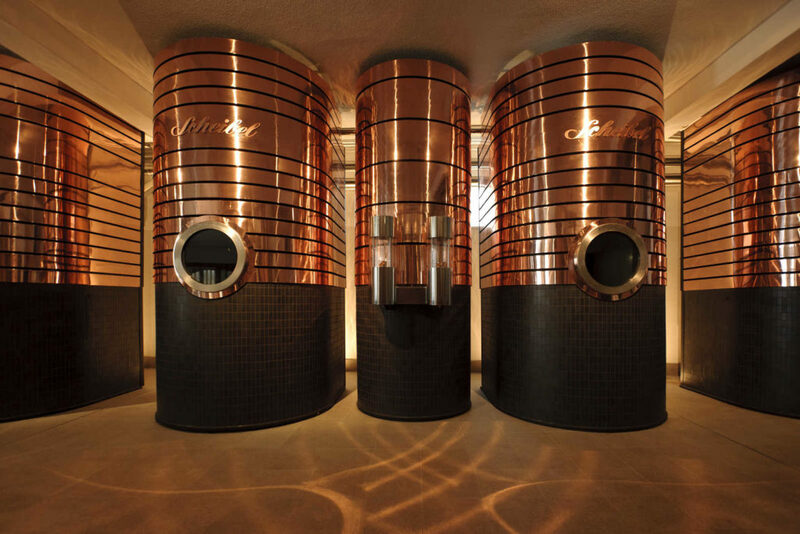 As a counterpart to the distillery ,Old times', in which Scheibel still distils over wood fire as it did one hundred years ago, the distillery 'neue zeit' was developed by a designer especially for Scheibel and symbolizes the innovative power of the company with its modern style. The plant was put into operation 2009 and consists of a total of five boilers, two for spirits and three for fires and water. 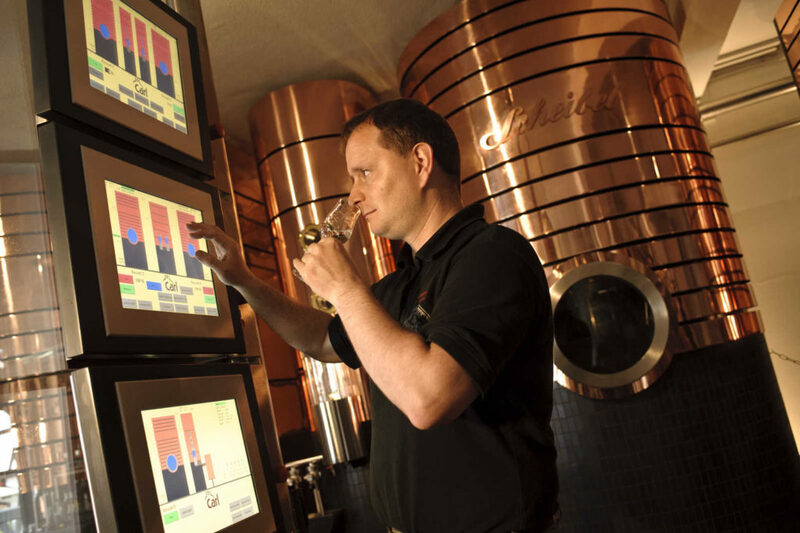 The "new time" boilers are operated via touchscreens, and the production process can be monitored on screens. 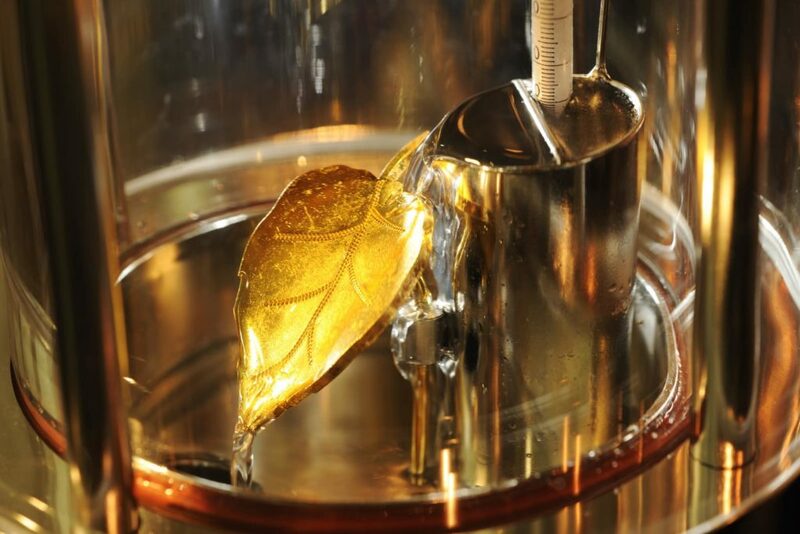 "As even the smallest temperature differences can influence the distillate, we ensure the consistently high quality of our products with sophisticated technology," says Michael Scheibel. The heart of the system is the 22 carat gold plates in the amplifier columns. 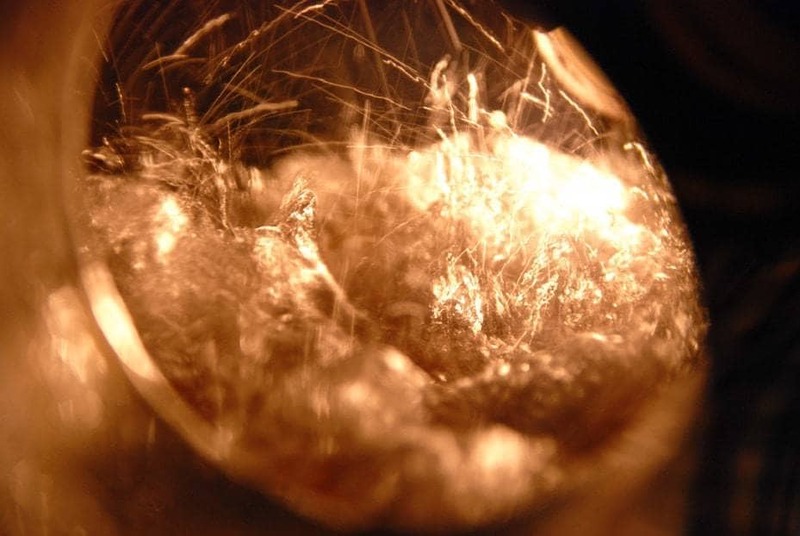 Sulfur, acid and fats, which are formed during the distillation, are trapped by the gold and thus do not enter the distillate via -Schibel AURIA process called. Three times a year, these gold plates are replaced and reworked. 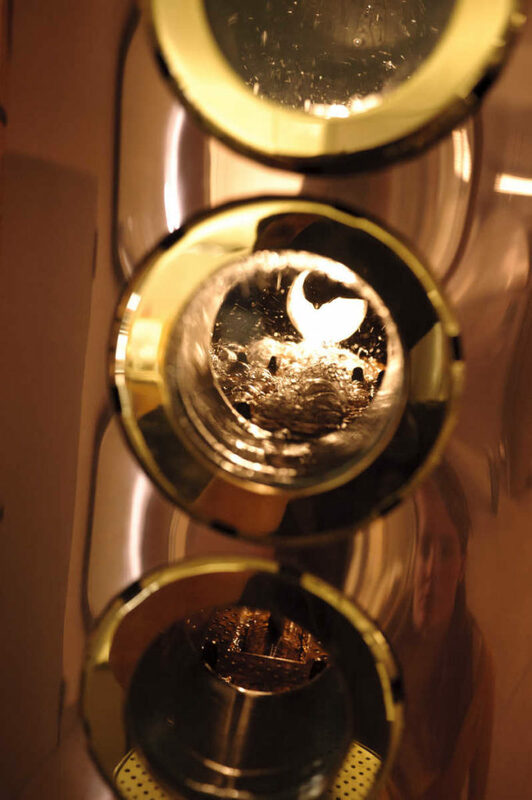 An 22 gold leaf welcomes finished distillates in the world and shows visitors to the distillery what is happening inside the plant. "Can you taste the finish with gold? Everyone has to decide for themselves. 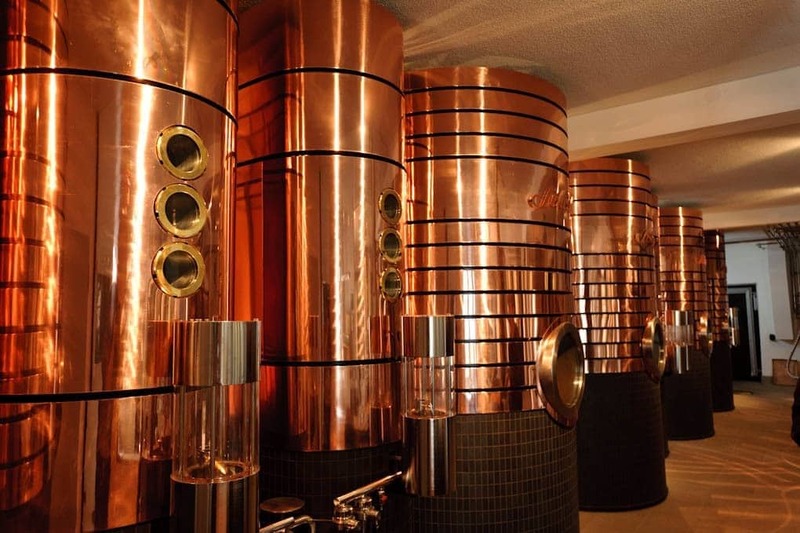 We are convinced that the products will be more filigree, milder and more diverse and will taste different from other fruit brandies, "confirms Scheibel.